Although we strongly monitor electronics time with the kids, my kids are probably no different from your kids in that they LOVE having turns on the Kindle or iPhone. 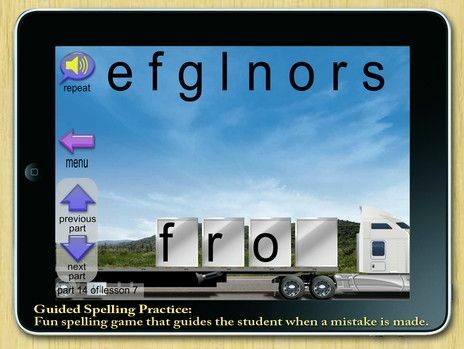 I am always searching for quality educational apps, and I was so excited when I was offered the chance to receive a phonics app from LiteracySoft for free in exchange for a review on this blog. 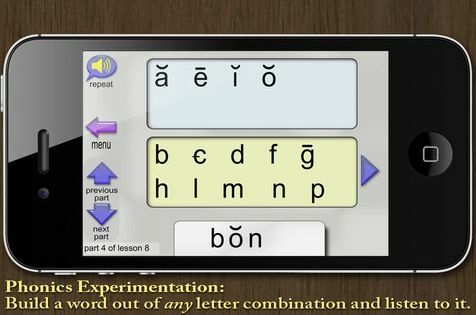 Phonics and Reading with McGuffey App is a multi-sensory reading app that is designed to get your beginning reader up to the first grade reading level. This program is compatible on your PC, Mac, and Apple iOS portable devices and requires 116 MB of space to operate. Because it allows the user to work at their own pace by slowing down or speeding up when necessary, this program is suitable for a wide-range of learners including: pre-readers, adults learning to read, people with dyslexia, and those who can already read but need extra practice. Margaret used this app during school and play time. What was so great about it is that it is completely educational, and is still engaging and fun enough that Margaret never thought of it as actual school lessons. She would often ask for her phone turn and then play the Phonics and Reading with McGuffey app instead of the numerous dress-up and princess games she owns. At first I needed to guide her as she got the hang of the program. By the second time using it she was on her own and only came to me when she got stuck on a letter, word, or activity. When I first got the app I was skeptical about how educational it really was. So many apps claim some learning aspect that proves to be false. That was not the case with Phonics and Reading with McGuffey App. I could not be more pleased with this program. I am so impressed with not only how much Margaret has progressed, but also with the way the material is presented. I seriously don't think I could have done a better job teaching beginning phonics to her myself. 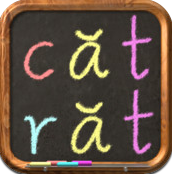 I honestly don't know how the other children mastered their phonics lessons without using this app! I loved the way the corrections were gentle and didn't make the user feel like they made a mistake at all. The speaker would simply say "Let me give you a clue as to how ____ is spelled." or "Let me give you a clue about how the word sounds letter by letter." Margaret gets discouraged very easily if she feels she is making too many mistakes and this way of correction was perfect for her. My only minor complaint is that sometimes it is hard to hear the difference between sounds and words from the speaker on our iPhone. An example is with the words "Ann," "and," and "an." The program has a repeat button and so that was very helpful during times we could hear it clearly the first time. I like my phonics on the phone. It is so fun. I like how there are little pictures and games and the train that moves and all the other things that it has. Phonics and Reading with McGuffey is available as a download in the iTunes store through Literacy Soft for $19.99. Would you like to try out the first ten lessons for free before you buy? Click here to access information about the Lite version. Other members of The Schoolhouse Review Crew used this reading app with a variety of learners. Click here to read their reviews or click the banner below.